PRICE REDUCTION! Seller offering a $3,500 credit towards redecorating! This house is really nice! Highly desired FishHawk Ranch in popular Gannet Glade subdivision on a quiet tree lined street! 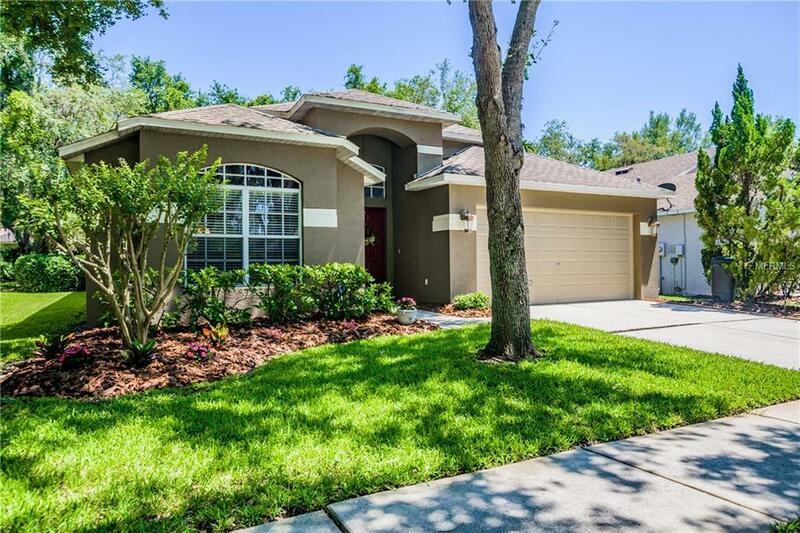 Centrally located in Lithia & zoned for some of the best schools in Hillsborough County! This 3/2/2 with over 1900 sq. ft. shows pride of ownership and is in great condition! A BIG plus is that this area of FishHawk has busing to Randall Middle School and Newsome High School! No car lines! Don't miss the 3D Virtual tour! A Quick walk to beautiful Ibis Park. Footsteps to Ibis Park playground. Backyard privacy and oversized screened porch not typically found in FishHawk. Large kitchen and pantry. Home has great layout and flow for entertaining. New AC in 2015 and New Stainless Steel Appliances! Beautiful entry with columned living and dining rooms, volume ceilings and more. An open kitchen with work counter overlooking the family room with bamboo flooring. Large Master Suite with beautiful garden tub, separate shower and double sinks. Lovely screened-in lanai with pavers views mature landscaping. Solidly built by Inland Homes. Don't miss this one! !